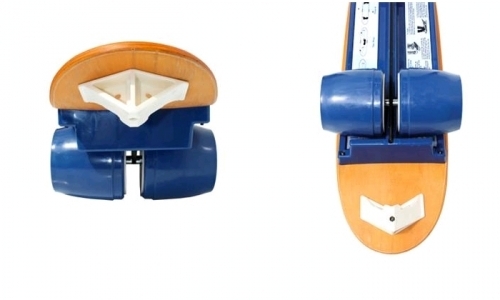 The Fitterfirst Bongo Board is an exciting extreme balance-training tool. The unique double ball bearing and tapered design of the roller allows for not only end-to-end movement, but also allows for heel-to-toe rocking and rotation for increased difficulty. Incorporate some fun into your existing workout program. 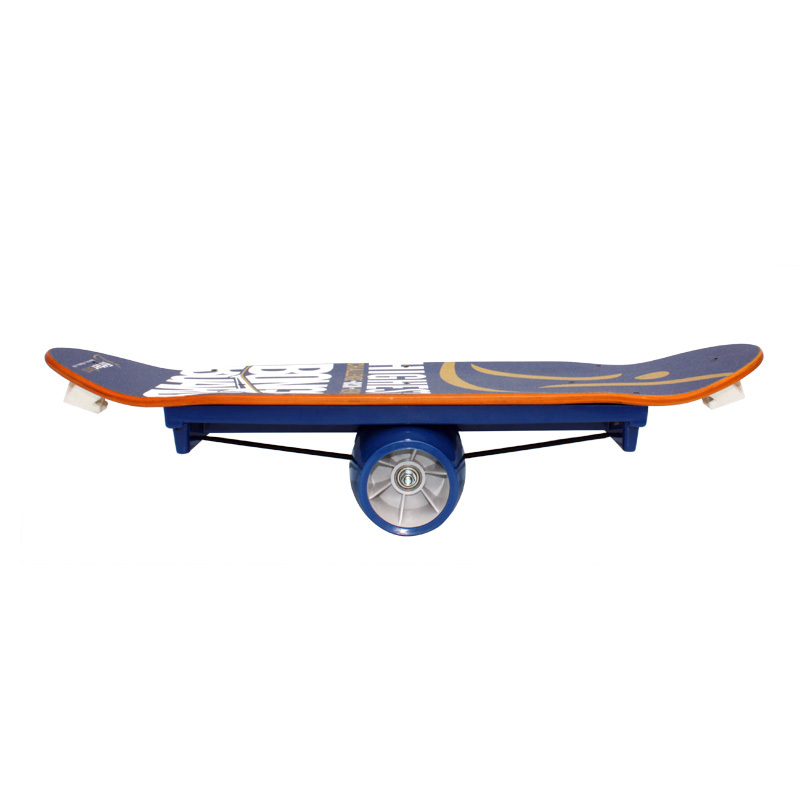 The Bongo Balance Board puts excitement into your routine, thanks to its extreme sports-inspired design. Great for anyone looking to increase flexibility & strength, it has a pivoting wheel for endless exercises. 31 in. L x 8 in. W x .5 in. H With the Bongo Board you will develop body awareness, visual challenge, skill progression, coordination, confidence, enhanced stability, core strength. 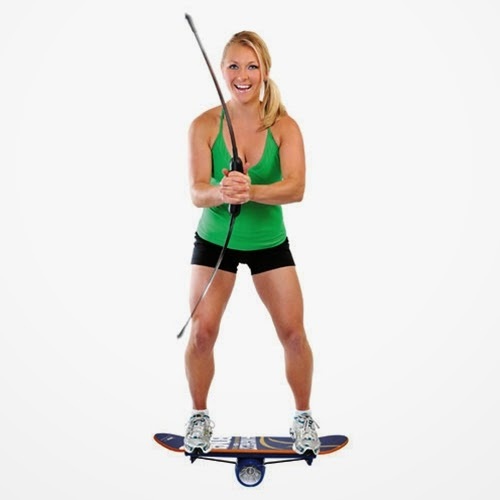 Fitterfirst's Bongo Boards are a great training tool for surfers, boarders, skiers and any extreme sports enthusiast. Its the fastest, most fun and safest board ever! Take one kick tail 32 in. deck, one dual bearing multi-rotational polyurethane wheel, bungee them together and you will have a whole lot of balance going on. Athletes will love the reaction skills and tricks that they can master on the Bongo Board. The Bongo Board is a maple plywood skateboard deck with a polypropylene undercarriage. It has a urethane roller with a polypropylene centre and a rubber nylon bungee cord for safety and ease of transport. A moderate to high level of fitness is recommended for using the Bongo Board. Balance training is one of the most often overlooked components of fitness regimens. First comes cardio and strength, then flexibility, and then, if possible, balance training. This oversight may be because people don’t understand that balance is a key element of overall fitness, and the use of appropriate balance training equipment such as balance boards, wobble boards and bongo boards can truly enhance your performance and your progress in almost any fitness program. Improved coordination. Because your muscle systems must work cohesively to achieve balance, your coordination is naturally improved and this extends beyond your workouts to your daily life. This can be particularly beneficial as we age and gradually become less coordinated. Reduced risk of injury. Balance boards and wobble boards help you become more body aware, which improves your sense of where your limbs are oriented in space. This type of body awareness helps reduce the likelihood that you’ll fall or bump into things, thus reducing your chances of injury. Stronger joints. Balance training equipment promotes stabilization of your shoulders, hips, knees, and ankles, thus improving range of motion and reducing the risk of injury to those joints. Improved strength. Strength training involves both the musculoskeletal system and the nervous system (brain and spinal cord). Balance training trains your brain to become more efficient and to have a quicker reaction time, which will result in a greater ability to recruit more muscle fibers during weight lifting. Increased enjoyment of workouts. Balance training is different and fun! It can inject a new sense of motivation and enjoyment into your workouts. An exciting expert level balance trainer! The Bongo Board is a maple plywood board with a polypropylene undercarriage. It has a urethane roller with polypropylene center and a rubber and nylon bungee cord. Double ball bearing wheel system causes two halves to rotate independently. Tapered roller ends allow toe-heel movement and rotation. Safety retaining cord promotes safety and easy transport. Made of Solid Maple Plywood Board. The board is 31"x8"x0.5" (LxWxH). Double ball bearing wheel system. 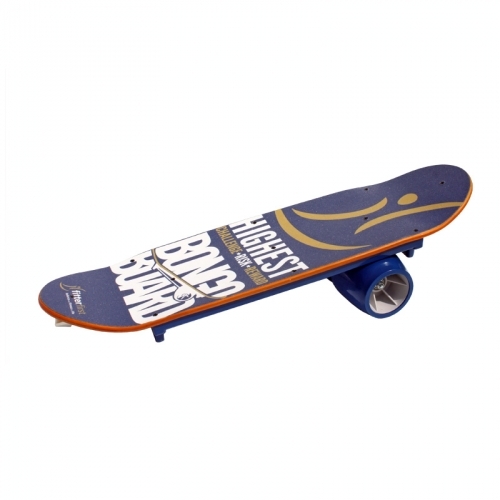 Order your Bongo Balance Board from FitnessZone.com today!